Description: Mountain pinecones and pine needles are depicted on this unique nature inspired pendant. Rustic charm comes alive with soft warm ambient light through Silver Mica which is accented by hardware featured in an Antique Copper finish. 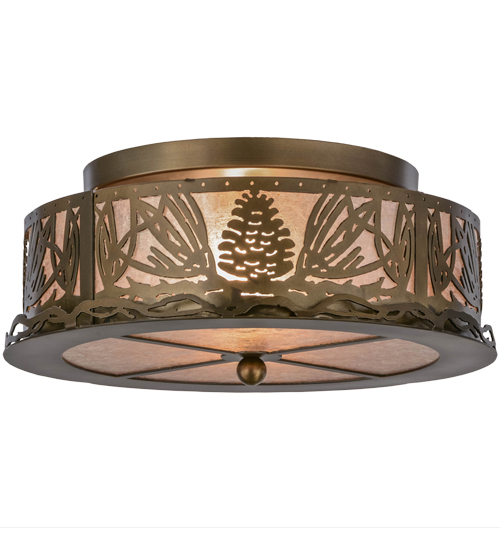 The fixture is perfect for hallways, entryways, foyers and rooms where you want to make a design statement. Mountain Pine is handcrafted by Meyda artisans in our manufacturing facility, at the foothills of the Adirondack Mountains in Upstate New York.